A Paediatric Ear, Nose and Throat Surgeon, also known as a Paediatric ENT, is an expert in the structure of a child’s upper airway and swallowing function. Typical problems treated by an ENT include hearing loss, ear infections, blocked nose, tonsillitis, hay-fever and other allergies, snoring and sleep related problems, neck lumps, tongue tie, drooling, and noisy or difficulty breathing. An ENT is skilled in treating ear, nose and throat issues with lifestyle modifications, medications and, in some cases, surgery. 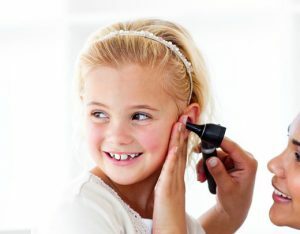 They work closely with paediatricians, speech therapists, paediatric dentists and hearing specialists to ensure the optimal health of your child’s ears, nose and throat. Should your child need surgery to correct an issue with their ears, nose, or throat, a Paediatric ENT will work closely with paediatric trained anaesthetists and nursing staff to give your child the highest quality operation in the safest possible environment. If you are concerned that your child suffers from ear, nose, or throat issues, please contact Dr. Deborah Armott on 1300 357 338, or fax your referral to 1300 247 338.